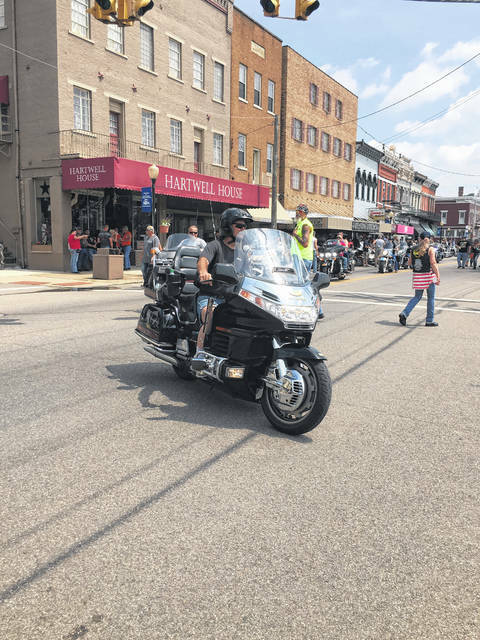 The Meigs Memorial Run is one of the largest motorcycle runs in Southeast Ohio. 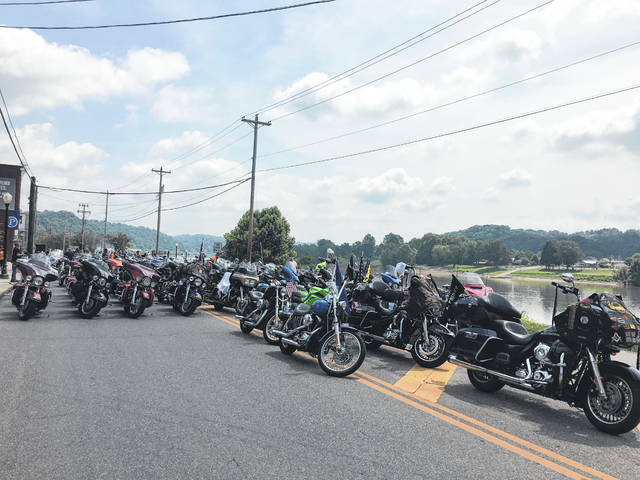 It took several minutes for all of the bikes participating in the run to leave the Pomeroy parking lot. 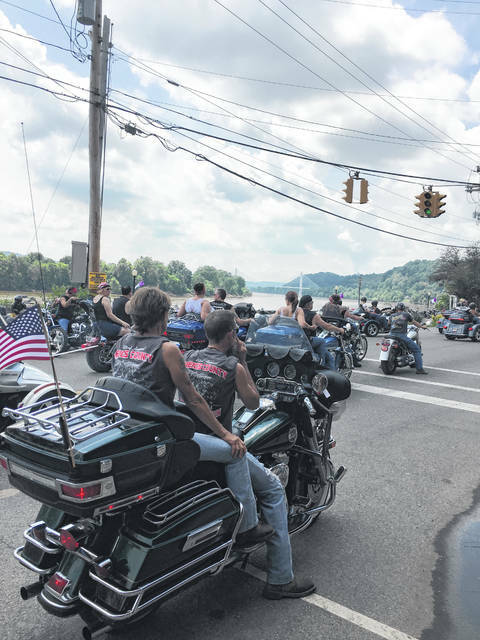 After all, friends are the family we choose and nobody knows this better than the family of bikers. 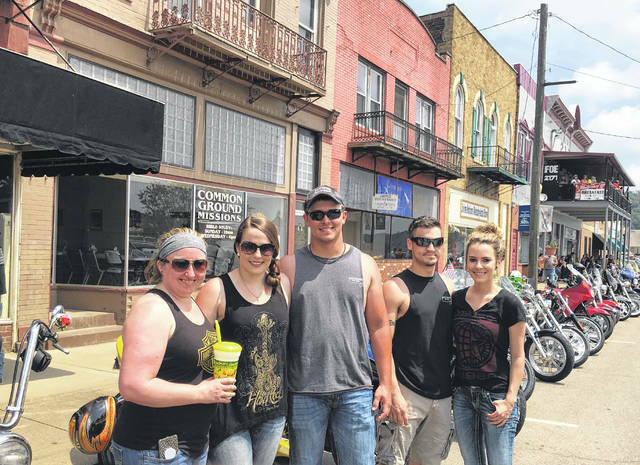 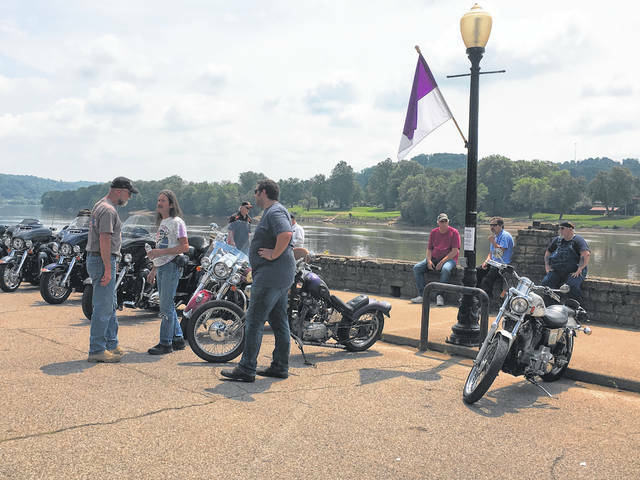 The Pomeroy Eagles offered breakfast on Sunday morning prior to the run and several bikers and attendees of the event visited with each other there until the run at 1 p.m.
Main Street was closed off to through traffic, so bikers could park along the road or in the Pomeroy parking lot. 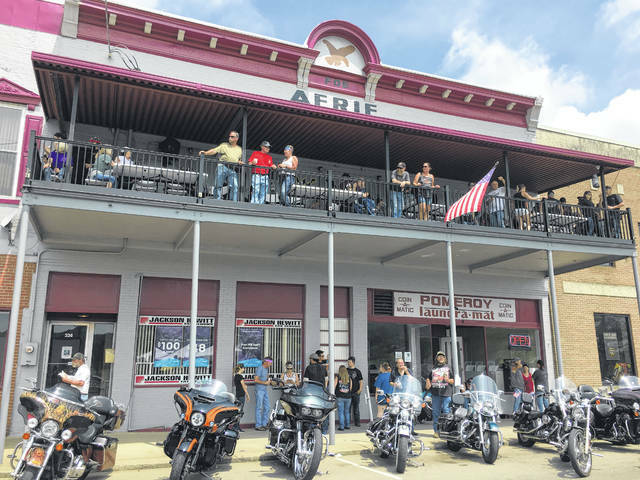 Bikers and spectators were able to walk along Main Street and through the Pomeroy parking lot to discuss and observe all of the bikes. 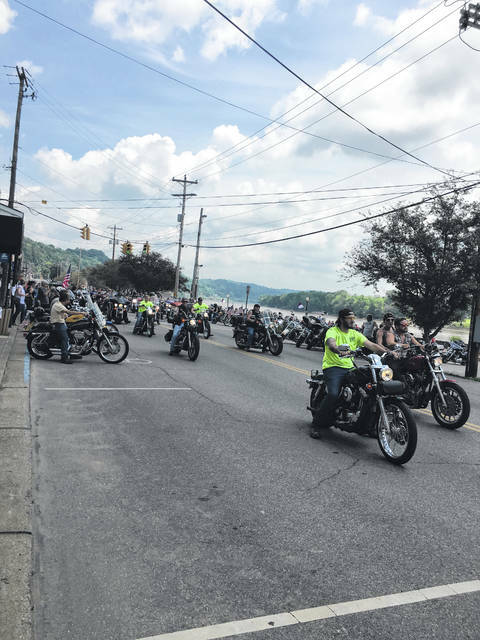 Workers of the run direct the bikers as they arrive for the run. 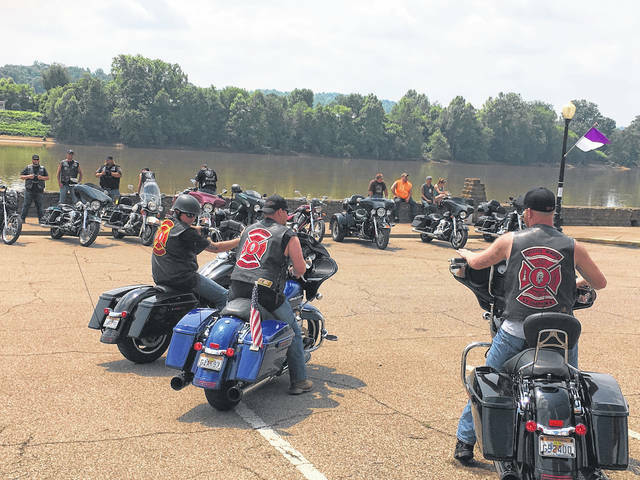 Bikers come each year from all over the country to participate in the run. 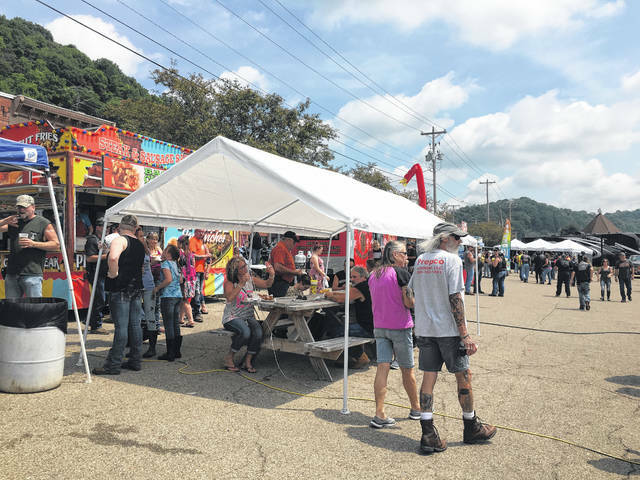 The event this year had several amenities such as vendors, music, and commemorative t-shirts, patches, buttons, and flags for the motorcycles. 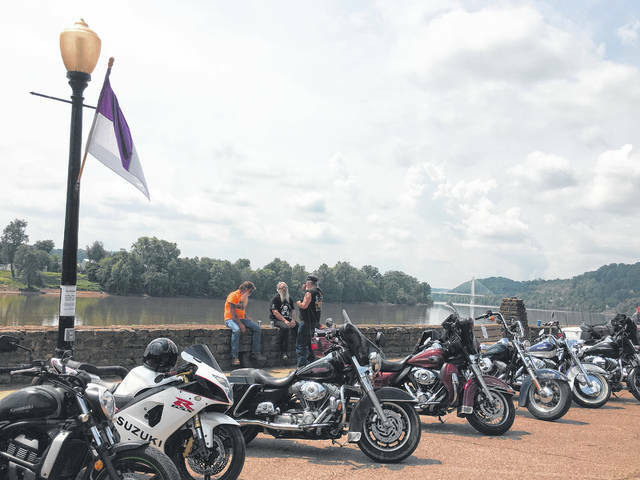 Many motorcycle clubs and individual motorcyclists made up one entity this weekend. 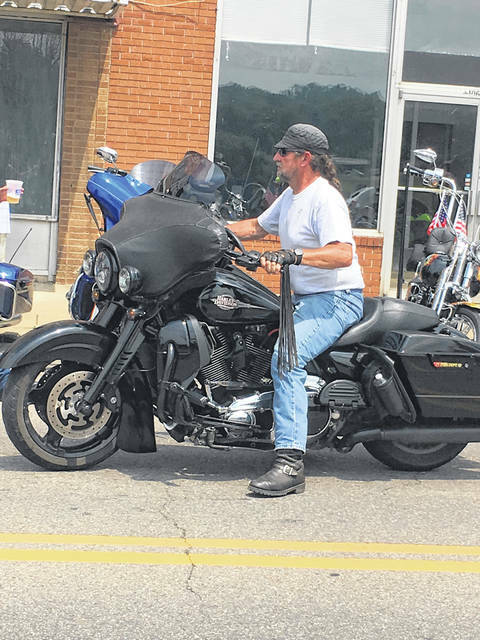 Several different sorts of bikes were represented in the run.